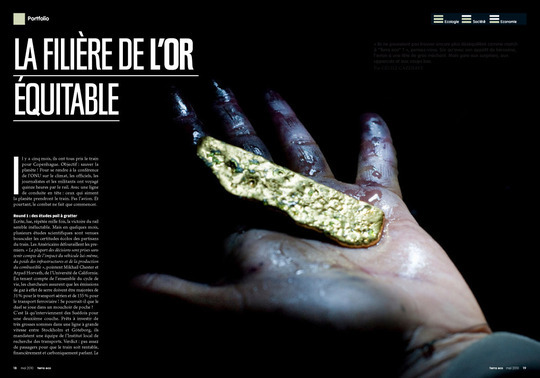 Combining video, photography, sound, text and comic strip « A life like mine » is a tale of adventure about gold diggers. This web documentary is the result of four years’ field work and pays homage to heroes searching for resources in imprenetrable mountains to help rise above their condition. Does this project interest you ? Would you like to help us finish it ? Then you can : here and now ! 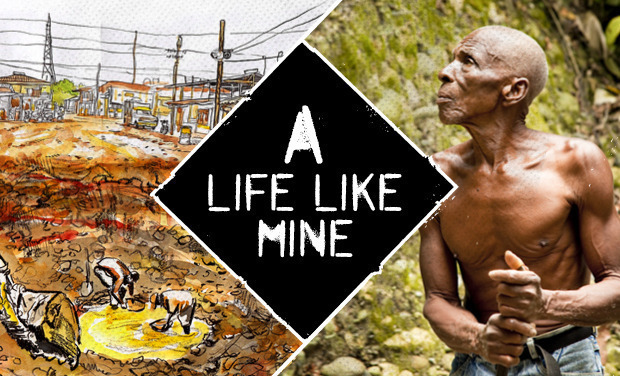 « A LIFE LIKE MINE » is a multimedia dive into the heart of an ancestral activity, indicative of society’s development : the search for gold. Gold fascinates. For some it is a barbarian relic of the past, for others a source of development. But this darling of the world’s markets provokes gold rushes that leave us questioning the future of our planet. Meanwhile other metals are following the same route. 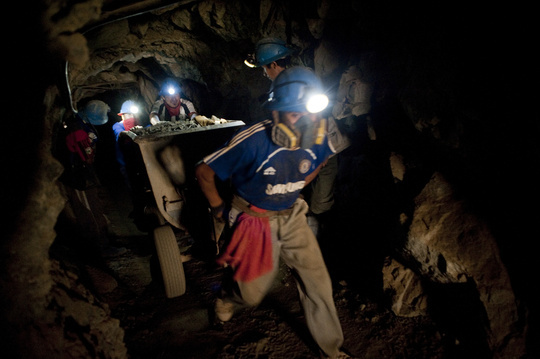 100 million people and 90% of the world’s miners are breaking their backs trying to survive in what officials modestly call « small-scale mines » (source : CASM World Bank). 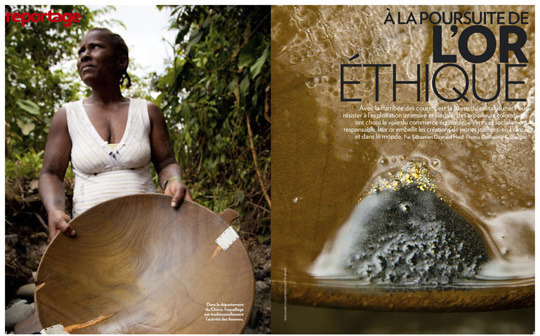 It is no longer about people searching for Eldorado, but about all those that various crises have left behind. Farmers whose land no longer feeds them. City dwellers fleeing large city slums. Refugees for whom exile is more and more difficult. We must question the condition of these men, women and children who are often in the hands of unscrupulous mafia, guerillas or dealers. Accidents, riots, mercury poisoning and piracy are rife, all shock waves of the world’s crises. 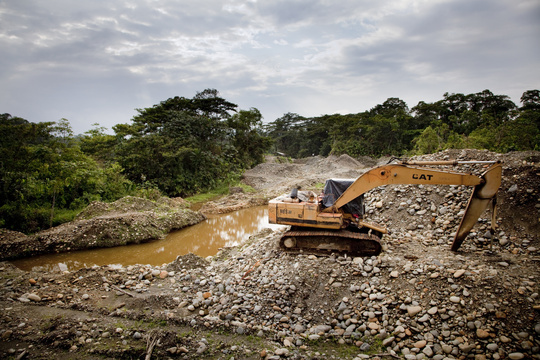 The ever-increasing number of these miners, at a time when more and more land is being set aside for mining, is a sign of new humanitarian struggles in the 50 countries concerned. 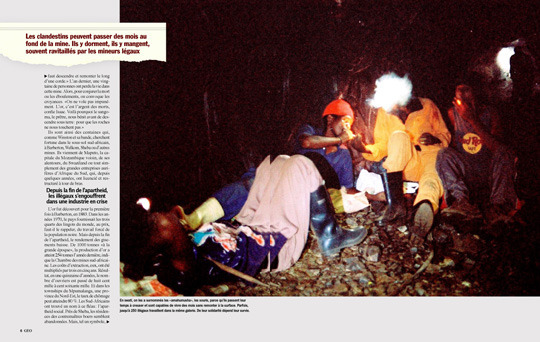 You will have understood by now that whether you are interested in literature, journalism or photography, Zola, London or Salgado, the discovery of these sweat and blood-soaked mines is a powerful experience, as much for those covering the subject as those working in them. 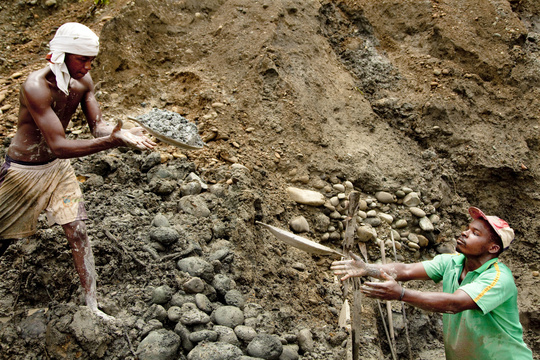 Our documentary work in mining towns plagued by violence, promiscuity and illegal workers has already proved this to us. Our web documentary will tell the story. 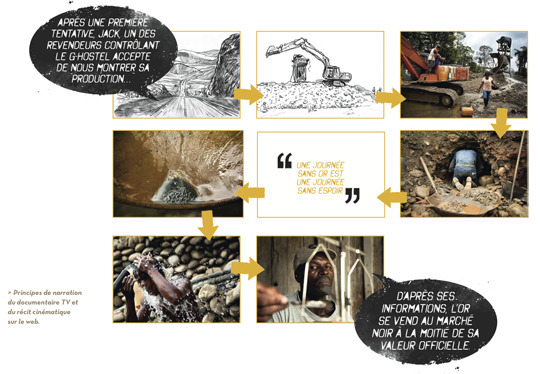 This web series aims to draw public attention to the distribution of resources from the mine. Started four years ago, it is designed to be circulated in the press (as a one-off feature or a series), on television (documentary), as an exhibition or in book form. How ? By allowing people to see and understand, through several places and stories, this activity at key moments in its evolution. 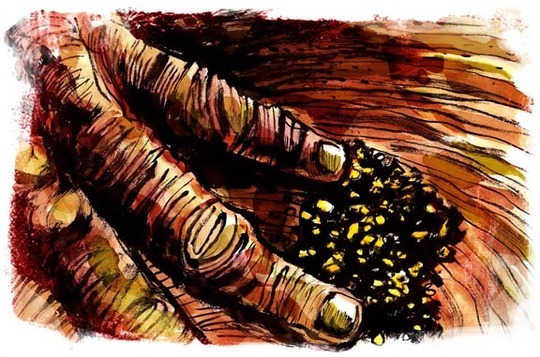 Rather than documenting the present by following one gold rush or sector , we want to retrace the life of one particular gold deposit from its genesis to its decay, resulting in raised awareness. Loosely inspired by Zola’s « naturalist » body of work, this approach aims to make each subject a strata in THE mine, as we envisage it. 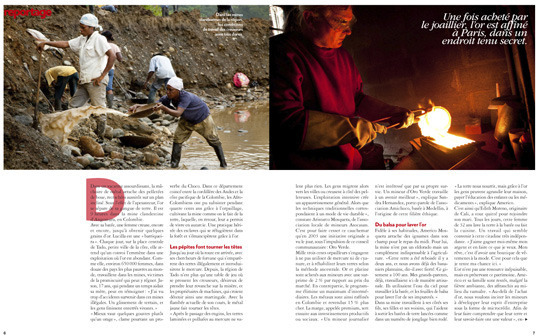 I/Subsistance through the ancestral activity of « gold gatherers » in Colombia. Their culture, bound up with slavery and the arrival of the conquistadors, enlightens us as to the connection men have with this resource. 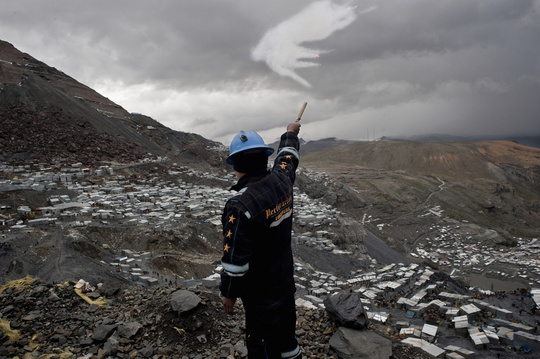 II/Fortune which revists the myth of the Klondike and the fate of those putting their faith in pure luck to escape poverty through the gold rush in Rinconada (Peru). 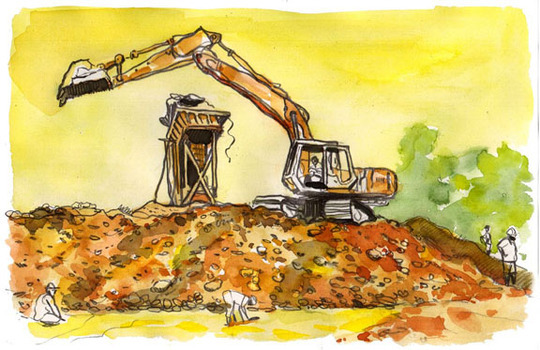 III/Conflict looks at the power struggle surrounding this activity between the state, mining companies and the diggers themselves. 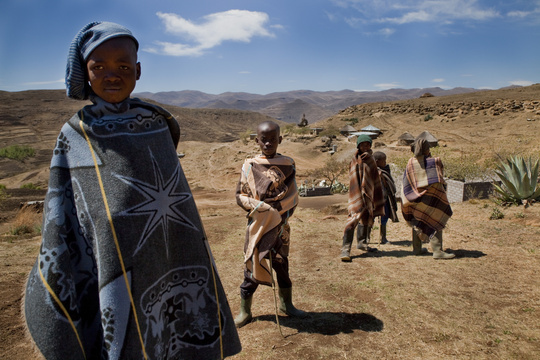 IV/Covetousness a story of mining piracy resulting from the destruction of a town, society and country : South Africa, after a century of mining. 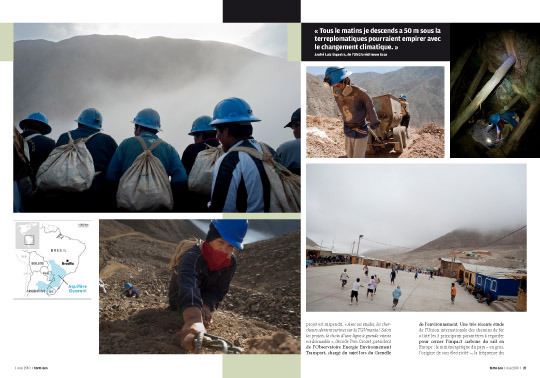 V/Conscience through the quest of Peruvian miners’ who, after centuries of exploitation and pointless suffering, have decided to work in a cooperative structure. Designed as a story, our web documentary will take the form of a multimedia graphic novel, combining varying content such as art work, photography, video and sound. Our adventure will be the common thread between all the subjects, as in the world of a novel. 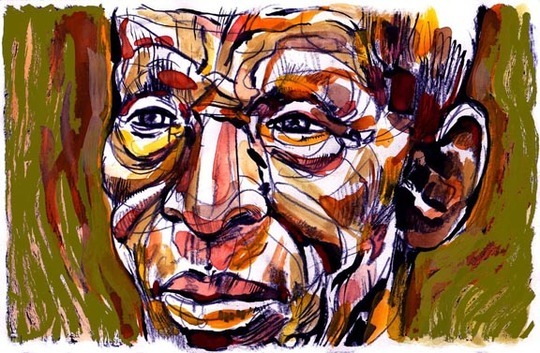 The artwork will put everything we have seen into perspective, situations, anecdotes, portraits all etched in our minds. It will be our main medium, to objectively portray everything that cannot be captured in a photo. Each chapter will be interactive and the user can choose to go and see one person, or discover a place or document, depending on his or her search. Telling the story of a complex subject requires time and producing documentary series is costly and we therefore wish to appeal to you to help finance this project. Four chapters have already been produced, thanks to commissions by the press and television : le Monde Magazine, ARTE, VSD, Géo, etc. But the last chapter on conflict is yet to be produced. The 10,000 euros – the minimum required to produce this last chapter of our series – will be used as follows : 4000 euros for plane tickets for the team (3 people), 3500 euros for overland travel, translation, lodging, food and 2500 euros for post production. We have made precious and privileged contacts. The subject is difficult and obtaining permission requires tact. This prepartory work requires discretion and the anonymity of the people helping us. This is why we are exploring three lines of research. So as not to jeopordise this preparatory phase, we unfortunately can say no more. But we will do this à posteriori and will regularly update you on the project, particularly during its presentation at the Festival international du grand reportage d’actualité on the 23rd and 24th March in Le Touquet, France. With your help we hope to convince producers and publishers. To find out more, join us on Facebook. And for now, fingers crossed ! A founding member of the Argos collective, my work (coal mine closures in Lorraine, France, furnished hotels) focus on the daily lives of ordinary people and the disinherited. 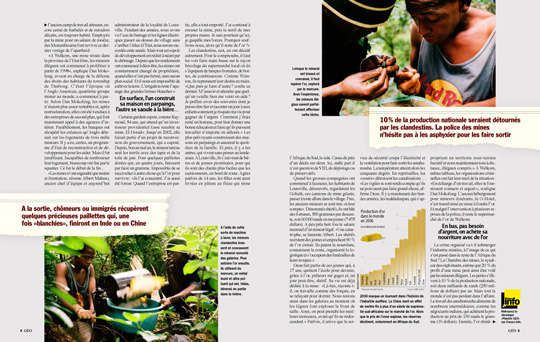 I have worked with Geo, Le Pèlerin, Humanité, VSD, Figaro magazine on features about industry and climate refugees. I was awarded the documentary prize for my feature "Les Maldives à fleur d'eau » at the International Scoop Festival in Angers (2007) . It was also shown at VISA pour l'Image in 2005. I won the Bourse du Talent (2001). Writer/reporter, it is through the prism of the mines that I travel the world. 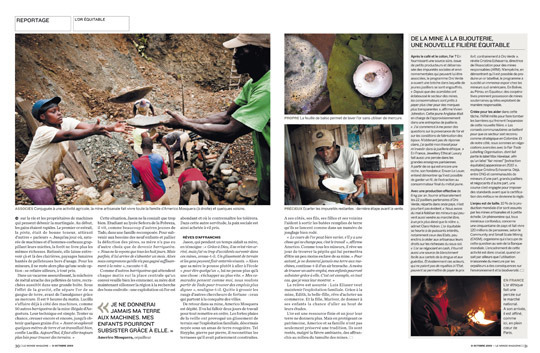 My free-lance work on searching for diamonds, gold diggers, coal miners have led me to collaborate with Le Monde, Challenges, Le Soir, Sciences et Avenir, Géo, Figaro magazine amongst others. Finalist for the RFI-France 24 prize at Visa pour l’image for the web documentary Cuatro Horas (2011), Sébastien Daycard-Heid was awarded the Crédit Cooperatif prize for best social and solidarity economy documentary feature. Founding member of the Argos collective, I am a photojournalist and a former video journalist. I am particularly interested in exile in all its forms. 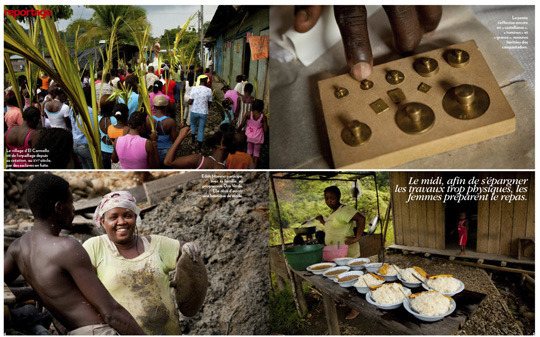 Over a six-year period I investigated the fate of climate refugees. 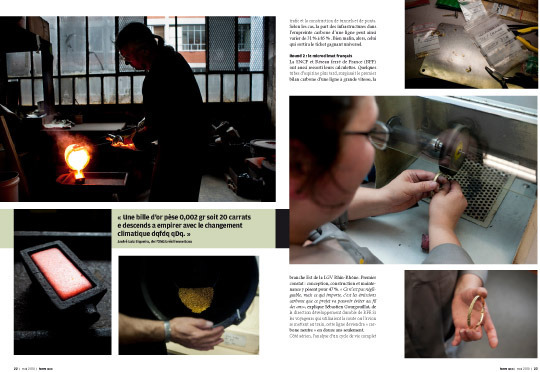 This collective work was circulated in press, book, exhibition and multimedia form (http://www.refugiesclimatiques.com/). 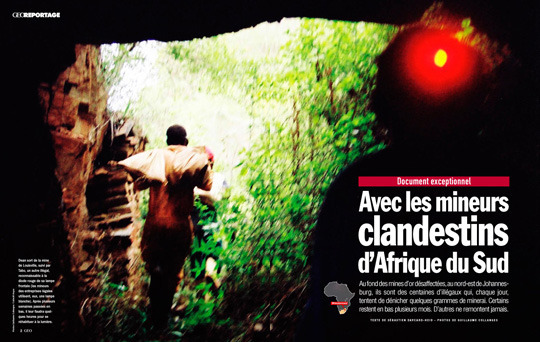 Cédric Faimali regularly works for the International and French press. 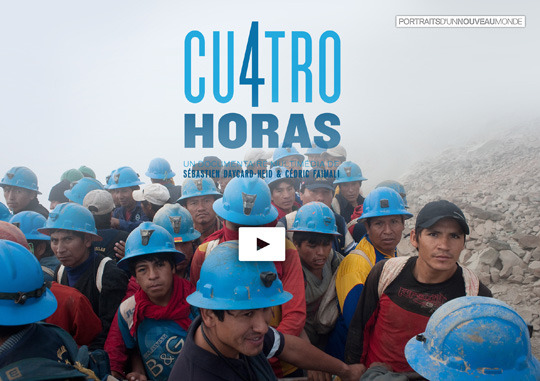 His web documentary, Cuatro Horas, was among the finalists in the RFI-France 24 prize at Visa pour l’image (2011). As an illustrator, my graphic documentaries deal with the homeless, Rrom families, squatters etc. Since 2007, I have been exploring the possibilities of the multimedia documentary form, discovered while making an episode on Scotland of the series « Carnets de voyage » televised on Arté, Voyage and TV5 Monde. 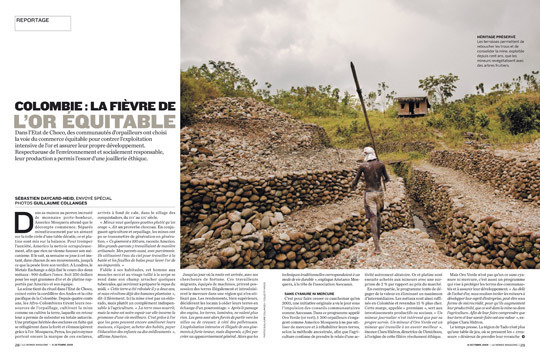 Winner of the Grands Reportages jury prize for « Portraits cachés » (2001), Damien Roudeau was awarded the Grand Prize and the writing prize in the Biennale du Carnet de Voyage for « De Bric et de broc » (2006), as well as the Travel Writers Grand Prize (2008).